However, the disappointments are unlikely to result in a mass exodus of people away from QAnon. 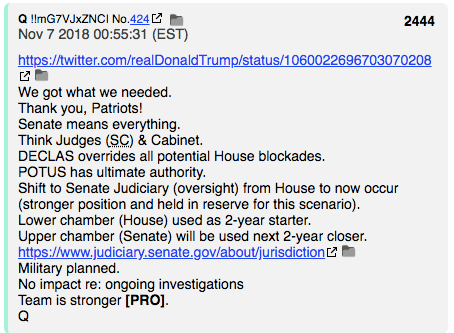 In typical Q fashion, the Q drop doesn’t make any clear prediction. Q drops are commonly composed of vague phrases or Socratic questions that can be interpreted in many ways. 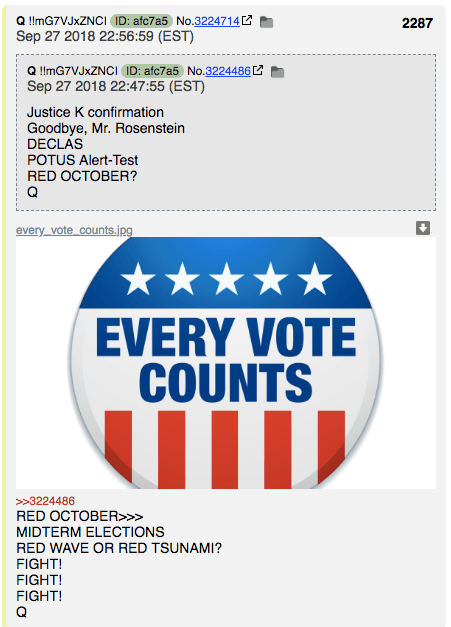 But many QAnon believers interpreted it to mean that the midterms would be either be good for Republicans or a blowout for Republicans. 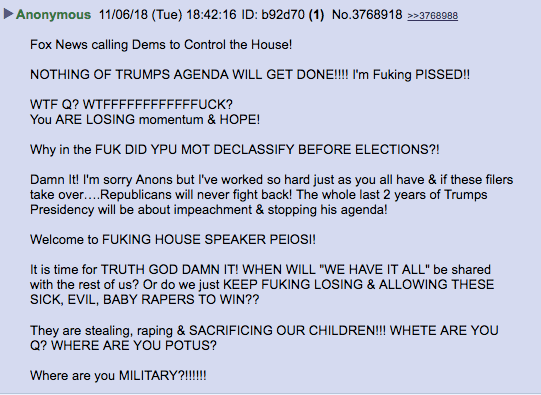 But as the midterm election results began to roll in, and mainstream news outlets like Fox News and NBC News projected that Democrats would take control of the House of Representatives, QAnon believers on 8chan, Voat, and Twitter began to express anger, confusion, and disappointment. 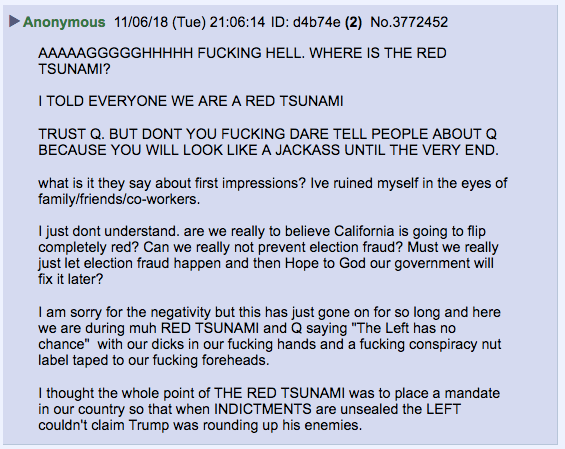 On 8chan’s /qresearch/ board, many expressed dismay at the midterm results. 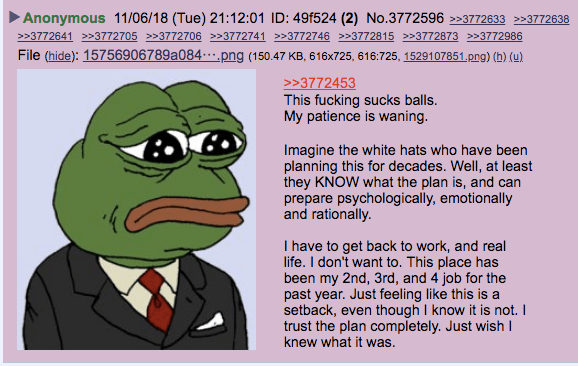 Some even declared that they were done with QAnon. 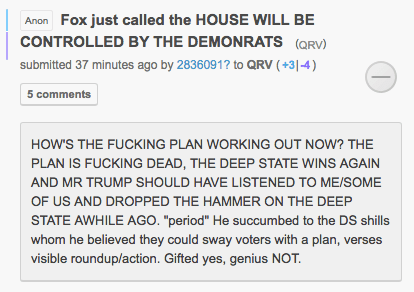 QAnon believers on Voat’s v/QRV board were similarly distraught. That confusion also extended to QAnon believers on Twitter. 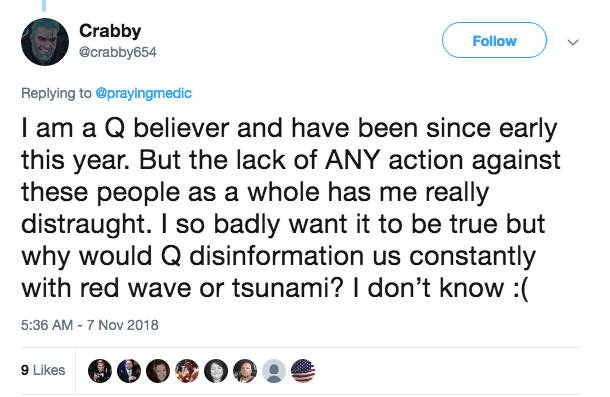 QAnon influencers on Twitter who have tens of thousands of followers, however, tried to keep the faith. 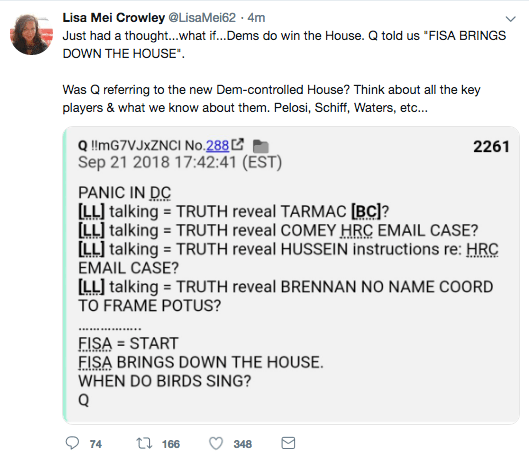 Many referenced earlier Q drops that said “FISA BRINGS DOWN THE HOUSE.” They hope, baselessly, that the promised declassification of documents related the surveillance of Carter Page will somehow implicate House Democrats. 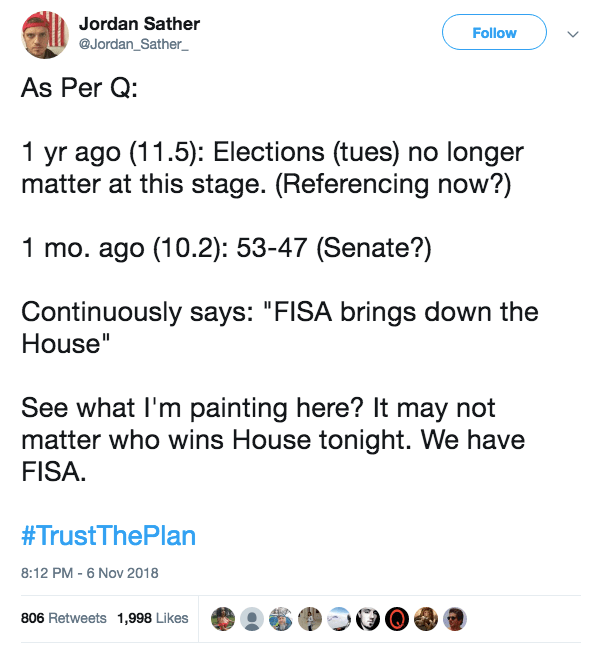 Q even chimed in with a post-election drop, assuring QAnon believers that Republicans losing the House doesn’t matter. However, the disappointments are unlikely to result in a mass exodus of people away from QAnon. 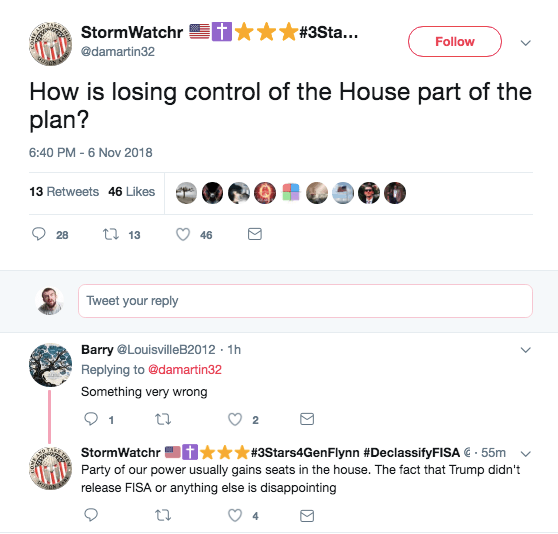 The history of the QAnon movement suggests that few will actually abandon Q because of the midterm results, or any disconfirming evidence for that matter.